Timelines are a valuable technique to have at your disposal when processing a case. They can reveal activity on a system that may not be readily apparent or show the lack of certain activity helping rule theories out. Timelines can be used on case ranging from human resource policy violations to financial investigations to malware infections to even auditing. Before the technique can be used one must first know how to build them. This is the first post in my two part series on building timelines. Part 1 discusses the thought process behind building timelines while Part 2 demonstrates different tools and methods to build them. The first thing I consider when building timelines is what is the examination’s purpose. Every case should have a specific purpose or purposes the DF analyst needs to accomplish. For example, did an employee violate an acceptable usage policy, how was a system infected, how long was a web server compromised, or locate all Word documents on a hard drive? I take into account the case type and examination's purpose(s) when picking the artifacts I want. To illustrate the affect case type has on my choice I'll use a malware infected system and Internet usage policy violation as examples. The malware infected system would definitely be interested in the artifacts showing program execution, firewall logs, antivirus logs, and file system metadata. The additional items I'd throw into a timeline would be the user's web browsing history, removable media usage, and registry keys last write times since those artifacts might show information about the initial infection vector and persistence mechanism. For an Internet usage policy violation I'd only include the file system metadata and web browsing history since my initial interest is limited to the person’s web browsing activities. The examination purpose(s) will point to other artifacts of interest. Let's say if the Internet usage policy violation's purpose was to determine if an employee was surfing pornographic websites and if they were saving pornographic images to the company issued thumb drive. In addition to file system metadata and web history, I’d now want to include artifacts showing recent user activity such as Windows shortcut files or the userassist registry key. I try to find a balance between the data I know I'll need and the data that may contain relevant information. I don't want to put everything into the timeline (kitchen sink approach) but I'm trying to avoid frequently adding more data to the timeline (minimalist approach). Finding a balance between the two lets me create one main timeline with the ability to create mini timelines using spreadsheet filters. Making the call about what data to select is not going to be perfect initially. Some data may not contain any information related to the examination while other left out data is going to be important. The important thing to remember is building timelines is a process. Data can be added or removed at later times which means thinking about data to incorporate into a timeline should occur continuously. This is especially true as more things are learned while processing the case. After the examination’s purpose(s) are understood and the potential data required to accomplish it is identified then the next consideration is understanding my tools’ capabilities. Timeline tools provide different support for the artifacts they can parse. I review the items I want to put into my timeline against the artifacts supported by my tools to identify what in my list I can’t parse. If any items are not supported then I decide if the item is really needed and is there a different tool that will work. Another benefit to making this comparison is that helps to identify artifacts I might not have thought about. The picture below shows some artifacts supported by the tools I’ll discuss in the post Building Timelines – Tools Usage. Some may be wondering why I don’t think about the tools’ capability before I consider the data I need to accomplish the examination’s purpose(s). My reason is because I don’t want to restrict myself to the capability provided by my tools. For example, none of my commercial tools are able to create the timelines I’m talking about. If I based my decision on how to accomplish what I need to do solely on my commercial tools then timelines wouldn’t even be an option. I’d rather first identify the data I want to examine then determine if my tools can parse it. This helps me see the shortcomings in my tools and lets me find other tools to get the job done. At this point in the thought process potential data has been identified to put into a timeline. A timeline could be built now even though the artifact list is pretty broad. My preference is to tailor the list to the system under examination. To see what I mean I’ll discuss a common occurrence I encounter when building timelines which is including a user account’s web browser history. Based on my tools supported artifacts, the web browsing artifacts could be from: Google Chrome, Firefox 2, Firefox 3, Internet Explorer, Opera, or Safari. Is it really necessary to have my tools search for all these artifacts? If the system only has Internet Explorer (IE) installed then why spend time looking for the other items. If the same system has 12 loaded user profiles but the examination is only looking at one user account then why parse the IE history for all 12 user profiles? To minimize the time building timelines and reduce the amount of data in them the artifact list needs to be tailored to the system. A few examination checks will be enough narrow down the list. The exact checks will vary by case but one step that holds across all cases is obtaining information about the operating system (OS) and its configuration. I previously discussed this examination step in the post Obtaining Information about the Operating System and it covers the three different information categories impacting the artifact list. The first category is the General Operating System Information and it shows the operating system version. The version will dictate whether certain artifacts are actually in the system since some are OS specific. The second category is the User Account Information which shows the user accounts (local accounts as well as accounts that logged on) associated with the system. When building a timeline it’s important to narrow the focus for the user accounts under examination; this is even more so on computers shared by multiple people. Identifying the user accounts can be done by confirming the account assigned to person, looking at the user account names, or looking at when the user accounts were last used. The third and final category is the Software Information. The category shows information about programs installed and executed on the system. The software on a system will dictate what artifacts are present. Quickly review the artifacts supported by my tools (picture above) to see how many are associated with specific applications. This one examination step can take a broad list and make it more focused to the environment where the artifacts are coming from. I reflect on the things I considered when coming up with a plan on how to build the timeline The examination's purpose outlined what I need to accomplish, potential data I want to examine was identified, my tool's capabilities were reviewed to see what artifacts can be parsed, and then checks were made to tailor the artifact list to the system I’m looking at. The list I’m left with afterwards is what gets incorporated into my first timeline. Working my way through this thought process reduces the amount of artifacts going into a timeline; thus reducing the amount of data I’ll need to weed through. The thought process I described may appear to be pretty extensive but that is really not the case. The length is because I wanted to do a good job explaining it since I feel it’s important. The process only takes a little time to complete and most of it is already done when processing a case. Follow along a DF analyst on a hypothetic case to see how the thought process works in coming up with a plan to build the timeline. Please note, the case only mentions a few artifacts to get my point across but an actual case may use more. DF analyst has the system back in the lab. He thinks about what he needs to do which is to remove the malware from the system and determine how it got there. The potential data list he came up with to accomplish those tasks was: known malware files, system’s autostart locations, programs executed (prefetch, userassist, and muicache), file system metadata, registry hives, event logs, web browser history, AV logs, and restore points/volume shadow copies. 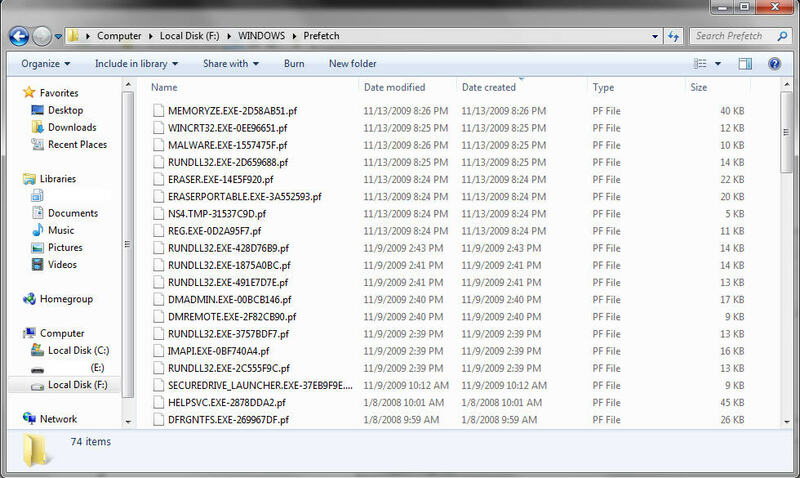 Wanting to know what launches when his friend logs onto the computer the DF analyst uses the Sysinternals autorun utility in offline mode to find out. Sitting in one run key was an executable with a folder path to his friend’s user profile. A Google search using the file’s MD5 hash confirmed the file was malicious and his friend’s system was infected. DF analyst decided to leverage a timeline to see what else was dropped onto the system and what caused it to get dropped in the first place. DF analyst performs a few other checks. 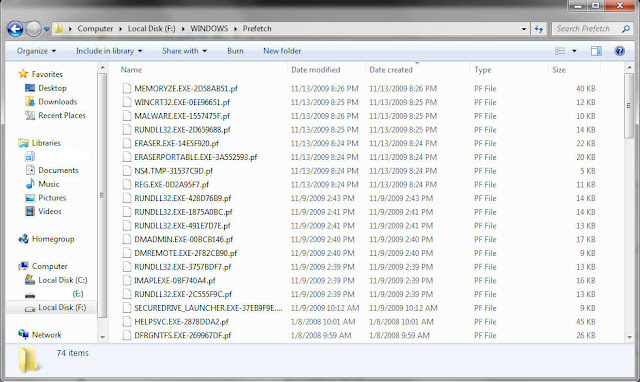 Prefetch folder has files in it and his friend’s user account recycle bin has numerous files in it. Both were added to the timeline artifact list. The final list contains items from the system and one user account. The system data has: prefetch files, event logs (evt), system restore points, Master file Table. The artifacts from one user account are: userassist registry key, muicache registry key, IE history, and the Recycle bin contents. DF analyst is ready to build his timeline …. Stay tuned for the post "Building Timelines – Tools Usage" to see one possbile way to do it. I'd like to hear feedback about how other's approach building timelines; especially if it's different than what I wrote. It's helpful to see how other analysts are building timelines. There won’t be any links pointing to Dr. Phil, Dear Abby, or Aunt Cleo. Not that there’s anything wrong that… They just don’t provide advice on a career in DFIR. Harlan put together the post Getting Started which contains great advice for people looking to get into DF. I think his advice even applies to folks already working in the field. DF is huge with a lot of areas for specialization. Harlan’s first tip was to pick something and start there. How true is that advice for us since we aren’t Abby from NCIS (a forensic expert in everything)? People have their expertise: Windows, Macs, cell phones, Linux, etc. but there is always room to expand our knowledge and skills. The best way to expand into other DF areas is to “pick something and start there”. Another tip is to have a passion for the work we do. In Harlan’s words “in this industry, you can't sit back and wait for stuff to come to you...you have to go after it”. I completely agree with this statement and DF is not the field to get complacent in. There needs to be a drive deep down inside to continuously want to improve your knowledge and skills. For example, it would be easy to be complacent to maintain knowledge only about the Windows XP operating system if it’s the technology normally faced. However, it would be ignoring the fact that at some point in the near future encounters with Windows 7 boxes and non-Windows system will be the norm. A passion for DF is needed to push yourself so you can learn and improve your skills on your own without someone (i.e. an employer) telling you what you should be doing. I wanted to touch on those two tips but the entire post is well worth the read, regardless if you are looking to get into DF or already arrived. Little Mac over at the Forensicaliente blog shared his thoughts about needing a drive to succeed in DF. I’m not musically inclined but he uses a good analogy to explain what it takes to be successful. Check out his post Is Scottish Fiddle like Digital Forensics?. Lenny Zelster discussed How to Get Into Digital Forensics or Security Incident Response on his blog last month. One issue facing people looking to break into the field is that organizations may not be willing to spend the time and resources to train a person new to the field. Lenny suggested people should leverage their current positions to acquire relevant DFIR skills. Lenny’s advice doesn’t apply to how I broke into the field since DFIR was basically dropped into my lab when I was tasked with developing the DF capability for my organization. However, his advice is spot on for how I was able to land my first position in the information security field (which is what lead me into DFIR). I was first exposed to security during my undergraduate studies when I took a few courses on the topic. It was intriguing but the reality was there weren’t a lot of security jobs in my area which meant my destination was still IT operations. I continued down the track pushing me further into IT but I always kept my desire for security work in mind. After graduation I took a position in an IT shop where I had a range of responsibilities including networking and server administration. In this role, I wanted to learn how to secure the technology I was responsible for managing and what techniques to use to test security controls. This is due diligence as being a system admin but it also allowed me to get knowledge and some skills in the security field. In addition to operational security, I even tried to push an initiative to develop and establish an information security policy. Unfortunately, the initiative failed and it was my first lesson in nothing will be successful without management’s support. All was not lost because the experience and my research taught me a lot about security being a process that supports the business. This is a key concept about security and up until that point my focus was on security's technical aspects. I leveraged the position I was in to acquire knowledge and skills about my chosen field (security). My actions weren’t completely self serving since my employer benefited from having someone to help secure their network. I didn’t realize how valuable it was to expand my knowledge and skills until my first security job interview. Going in I thought I lacked the skills and knowledge but over the course of the interview I realized I had a lot more to offer. I took the initiative to expand my skillset and it was an important factor in helping me land in the security field. My experience is very similar to the Lenny’s advice except his post is about getting into the DFIR field. Rounding out the links providing sound guidance, Bill over at the Unchained Forensics blog gave some good advice in his recent post Explosions Explosions. He shared his thoughts on how he approaches examinations. One comment he made that I wanted to highlight was “more and more of my most efficient time is being used at the case planning stage”. He mentions how he thinks about his plan to tackle the case, including identifying potential data of interest, before he even starts his examination. I think it’s a great point to keep reinforcing for people new and old to DFIR. I remember when I was new to the field. I had a newly established process and skillset but I lacked certain wisdom in how to approach cases. As expected, I went above and beyond in examining my first few cases. I even thought I was able to do some “cool stuff” the person requesting DF assistance would be interested in. There was one small issue I overlooked. The person was only interested in specific data’s content while I went beyond that, way beyond that. I wasted time and the cool stuff I thought I did was never even used. I learned two things from the experience. First was to make sure I understand what I’m being asked to do; even if it means asking follow-up questions or educating the requestor about DF. The second lesson was to think about what I’m going to do before I do it. What data do I need? What steps in my procedures should I complete? What procedural steps can be omitted? What’s my measure for success telling me when the examination is complete? Taking the time beforehand to gather your thoughts and develop a plan helps to keep the examination focused on the customer’s needs while limiting the “cool stuff” that’s not even needed. If someone were to ask me what is the best training I have every taken I know exactly what I would say. A book, computer, Google, and time. That’s it and the cost is pretty minimal since only a book needs to be purchased. I’m not knocking training courses but classes cannot compare to educating yourself through reading, researching, and testing. I never heard about Books24x7 until I started working for my current employer. Books24x7 is virtual library providing access to “in-class books, book summaries, research reports and best practices”. The books in my subscription include topics on: security, DFIR, certification, business, programming, operating systems, networking, and databases. I can find the information I’m looking for by searching numerous books whether I’m researching, testing, or working. A quick search for DFIR books located: Malware Forensics: Investigating and Analyzing Malicious Code, Windows Registry Forensics: Advanced Digital Forensic Analysis of the Windows Registry, Windows Forensic Analysis Toolkit Second Edition, Malware Analyst's Cookbook: Tools and Techniques for Fighting Malicious Code, EnCase Computer Forensics: The Official EnCE: EnCase Certified Examiner Study Guide, and UNIX and Linux Forensic Analysis Toolkit. That’s only a few books from the pages and pages of search results for DFIR. Talk about a wealth of information at your fingertips. The cost may be a little steep for an individual but it might be more reasonable for an organization. If an organization’s employees have a passion for their work and take the initiative to acquire new skills then Books24x7 could be an option as a training expense. Plus, it could save money from not having to purchase technical books for staff. Please note, I don’t benefit in any way by mentioning this service on my blog. 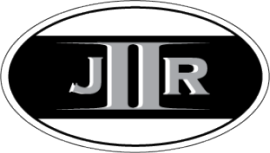 I wanted to share the site since it’s been a valuable resource when I’m doing my job or self training to learn more about DFIR and security. Timeline analysis is a great technique to determine the activity that occurred on a system at a certain point in time. The technique has been valuable for me on examinations ranging from human resource policy violations to financial investigations to malware infections. Here is an analogy I came up with to explain what timelines are. The picture below shows how data looks on a hard drive using the operating system. It does a decent job if you are using the computer but the method doesn’t work for a forensic examination. 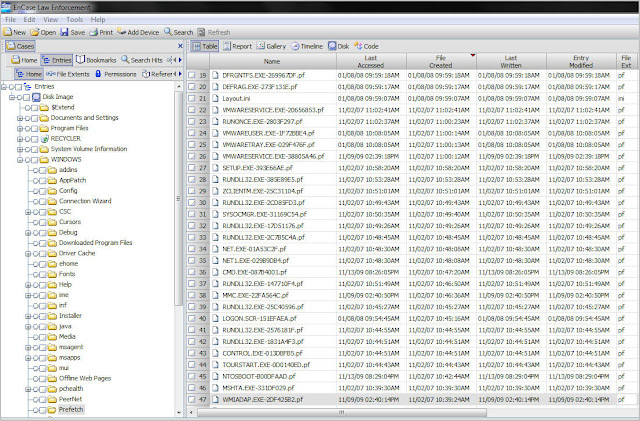 There’s a lot of missing data such as: file system artifacts, hidden files/folders, and the metadata stored in files/folders. In technical books cabinets are used to explain how hard drives function since they store items similar to how a drives store data. 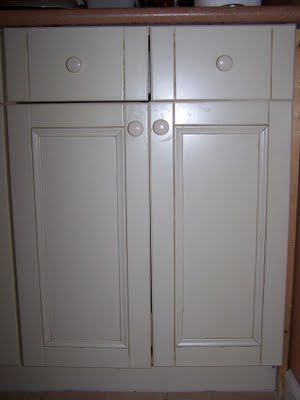 Using the operating system to view data on a hard drive is the equivalent to looking at the cabinet as pictured below. You are unable to see what lies beneath. The picture below shows how data on a hard drive looks using a digital forensic tool. The tool does a better job than the operating system since it displays a lot more data. 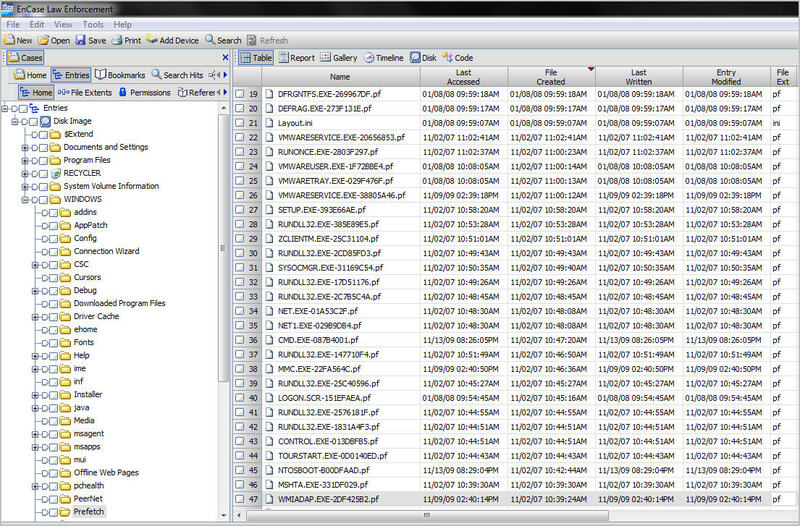 File system artifacts, hidden files/folders, and file system metadata can now be examined. However, the tool does not readily show some data such as the metadata stored inside of files. The picture highlights the need for additional steps to extract the data inside prefetch files. 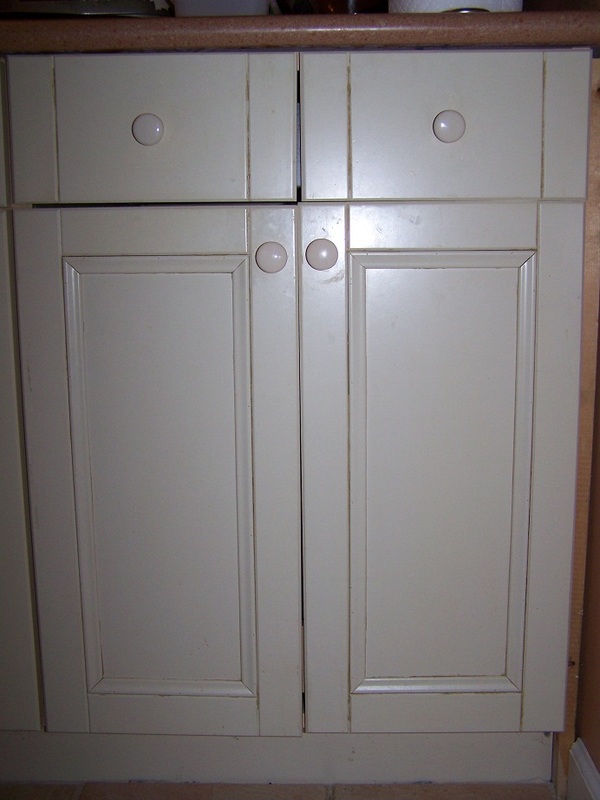 The cabinet’s contents can now be seen since the doors are opened. 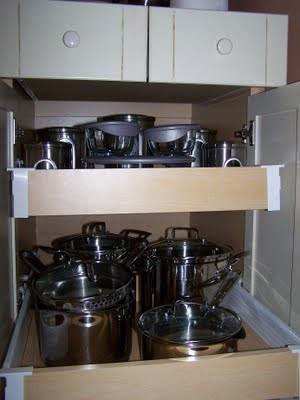 There are containers, pots, and pans. However, additional steps need to be taken to determine what is inside those items. Just like more steps are required in Encase to see prefetch files’ metadata. The picture below shows how data looks on a hard drive using a timeline. It might not look as pretty as a Graphical User Interface but it provides so much more data. The timeline section shown contains: both timestamps from the Master File Table (MFT), data stored in prefetch files, events from an event log, and registry keys. 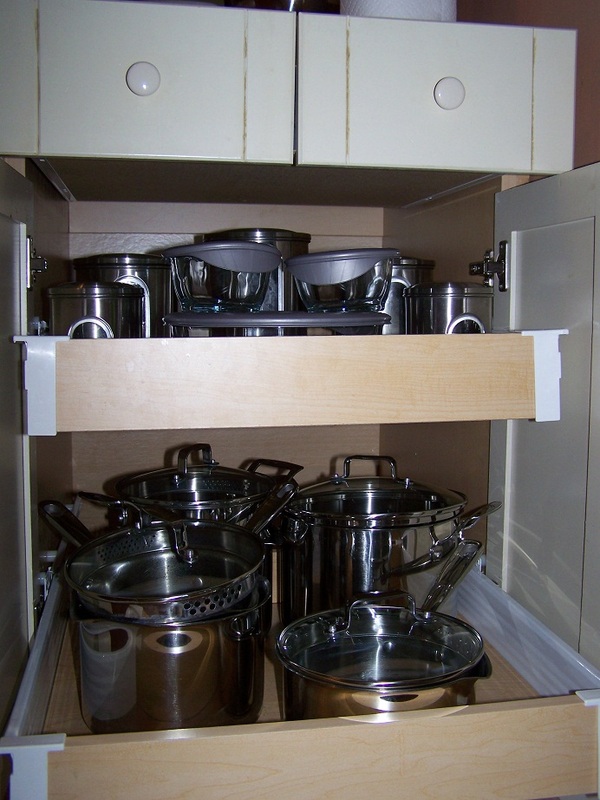 The opened cabinet doors allowed the pots, pans, and containers’ contents to be examined. 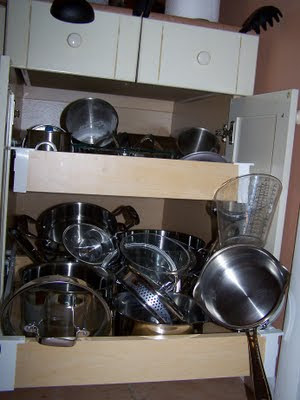 To the untrained eye it might look like chaos but to the knowledgeable observer they can now see what was stored in the cabinet including the now visible measuring cups. It's kind of like how a timeline makes visible activity on a system that may not have been readily apparent.